More Pittsburg High School students are getting a head start on college through programs that offer opportunities to earn college credit while they are still in high school. This fall, 103 PHS students are enrolled in at least one course in PSU Ready, the concurrent education program through Pittsburg State University. That is compared to 81 students in last fall. Overall, more than 140 students are in some kind of postsecondary academic coursework at Pittsburg High School, which includes the PSU Ready Program, Advanced Placement, and Career and Technical Education courses. PHS officials say the goal is to prepare students for life after high school, whether that means college or technical school or going right into the workforce. "We want all of our kids to be ready for postsecondary, the workforce, and life," Gina Ulbrich, PHS Counselor said. "So this (PSU Ready) helps kids be ready for postsecondary because they're starting it. They're starting it right now." In addition to earning college credits, the concurrent classes also help students prepare for the very different learning environment they’ll find in college. Senior Chase Curtis, a three-sport athlete, said he is learning time management skills and how to adapt to the rigor of college coursework. "It has given me what it's going to be like in college and how I'm going to have to time manage and how classes are going to be and what work is like," Curtis said. He said taking this path seemed like an obvious option. "You're going to have to take this in college anyway. You get it cheaper here and you're probably going to have less help in college than you do here at the high school, Curtis said." PHS Principal Phil Bressler said taking the college-level classes helps students prepare to be successful in college. "Having that opportunity to take that more rigorous course that approaches or mirrors a college level course is a great opportunity for kids," Bressler said. "They're going to walk out of here knowing, ‘hey, I've got college credit. I've got something I can build on after high school.’"
In addition to the dual credit program, PHS also offers advanced placement or AP courses, including AP Literature, in which students can gain college credit if they pass the AP test. AP Literature teacher Melissa Johnson said she enjoys teaching the AP classes and learns from her students. 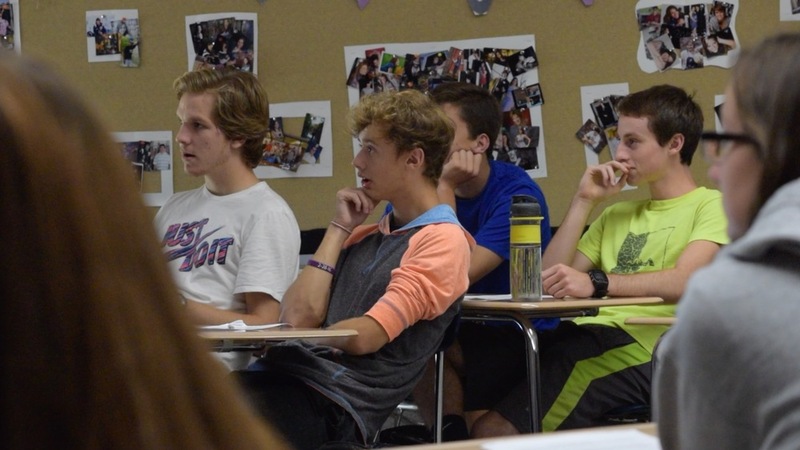 "For me, it's just a blast because, every single class, every single year is completely different," Johnson said. "They'll (the students) have different takes on the literature that they read and often they'll say something I've never heard before that makes me think about the literature in a new way." University officials said having teachers who students know has helped encourage the growth in concurrent and similar programs. "I think these teachers enjoy teaching the college credit class and so they are happy to encourage their students to participate and so it has grown," B.B. Stotts, director of Graduate Studies & Continuing Education at Pittsburg State University, said.